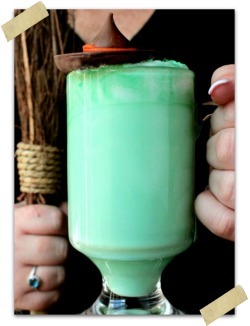 Perfect for a Halloween dinner party! 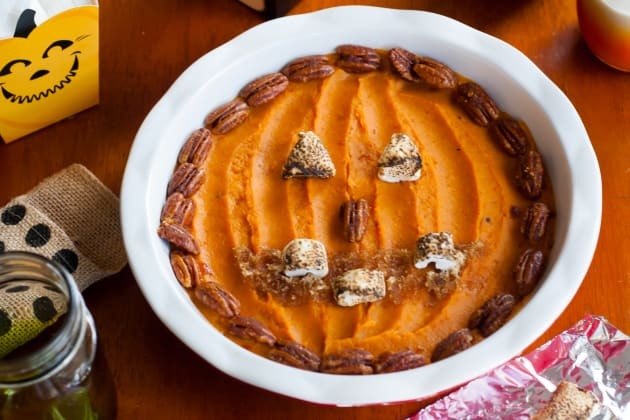 This Sweet Potato Jack O’ Lantern is so fun! Who says you shouldn’t play with your food? 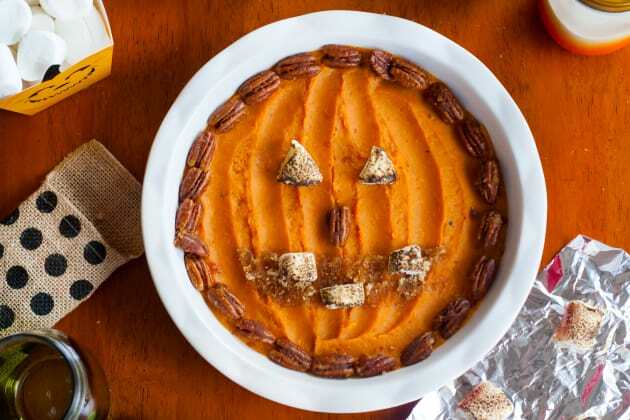 Your family and friends are going to love this Sweet Potato Jack O’ Lantern! 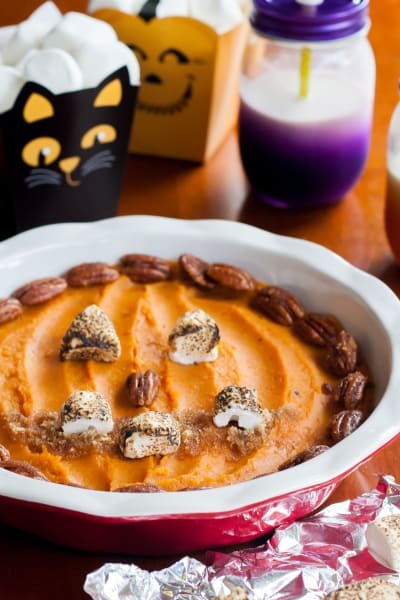 Mashed sweet potatoes with a little bit of butter and brown sugar, this simple dish gets a spooky makeover with the addition of some sweet candied pecans and toasted marshmallows. 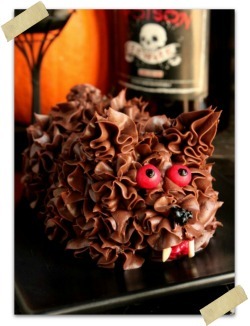 It would make the perfect addition to a Halloween-themed potluck or buffet. Or even just a fun meal at home! Holiday food is so much fun! I love to try and get creative with my food whenever a holiday rolls around. Red Velvet in February, lots of festive sweets like my favorite gluten free eggnog sugar cookies, gingerbread men, and peppermint in December. And of course there is Thanksgiving in November, lots of seasonal flavors and a few fun turkeys. And then there is Halloween. 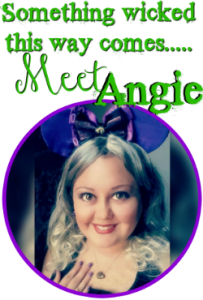 Halloween could be easily overlooked as just a candyholiday. Lots of candy and of course #PumpkinEverything. But Halloween has so much more potential! 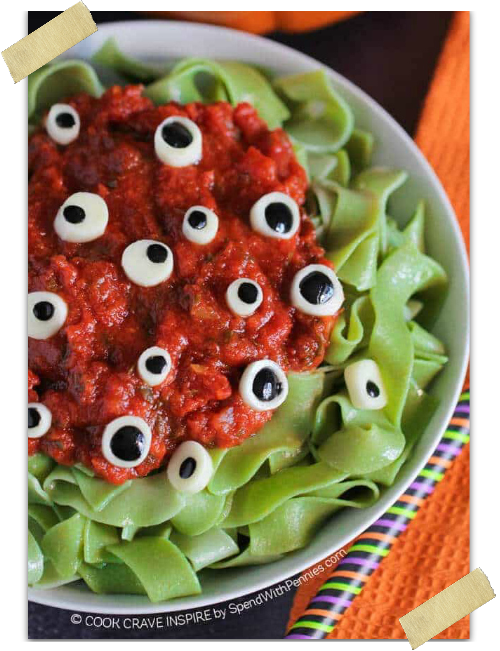 Just get creative and make some creepy ghouly food. Or something cute and fun like this Sweet Potato Jack O’ Lantern. I love telling stories about my childhood! 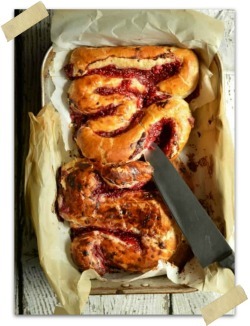 Every other post I write I say “I made this with my mom when I was a little girl,” or “this reminds me of one of my childhood favorites.” It might make you think that my mom was just this amazing, creative, baking and cooking whiz! Well, my mom is amazing and creative, but she would be the first to say that she isn’t a cooking whiz. She really doesn’t like cooking at all. Which is probably one of the reasons that I love it! As soon as it became apparent that I had a love for food and a knack for cooking she let me take over the kitchen. She really nurtured my love of cooking, and encouraged me along the way. Anyways, this brings us to Halloween Potatoes. We ate Halloween potatoes all the time when I was little (under age 5.) The Halloween potatoes of my childhood were nothing like this Sweet Potato Jack O’ Lantern, but they inspired it none the less. My parents would often make mashed potatoes using half sweet potatoes and half plain ol’ russet potatoes. They would get me to eat them by calling them “Halloween Potatoes.” So of course they were my favorite! You really can get kids to eat almost anything if you give it a fun name. Or make it look like a Jack O’ Lantern. I hope that your family enjoys this fun recipe as much as mine! ﻿﻿﻿﻿ Post and Recipe reposted with permission from Food Fanatic and was created by Brianna of Flippin’ Delicious!